Fourteen top chefs will work with seven acclaimed sommeliers to create culinary wonders for 252 guests for one night only on 10 September 2015, with renowned artists donating their work to raise funds for youth development. Following two highly successful events, the black-tie charity gala ‘Chefs who share – the ART of giving’ will be back in Cape Town on Thursday 10 September 2015. Taking place in the City Hall, the grande dame of Cape Town, the spectacular, ‘feel-good’ event was created by Barbara Lenhard in 2013 to raise funds for youth development in South Africa. Together with ongoing presenting partner Mercedes-Benz and associate sponsors Deutsche Bank, Swiss International Air Lines and Bulgari, Barbara and her team have set the stakes high to ensure that this year’s gala will once again exceed all expectations. Fourteen of the country’s top chefs will lend their time and creativity to create a culinary feast for 252 guests. Paired in seven teams, they will be joined by seven acclaimed sommeliers to select predominantly South African wines for their menus. An exciting new addition to this year’s event is the `Chefs who share – Young Chef Award’, a once in a lifetime opportunity for South Africa’s up and coming chefs to join their culinary idols at Chefs who share. Following an elimination process over the next few weeks, seven young chefs from around South Africa will be invited to cook at the glamorous event with their experienced peers. The ultimate award – a trip to Europe to cook in a Michelin-starred restaurant and experience two days in Champagne, will be presented to the most promising young chef on the night. Gerry Elsdon and Jeremy Mansfield will again take on MC duties at the gala, with Iain Banner presiding over the now legendary auction for the third year in a row. Set to be one of the highlights of the evening, the auction will afford guests the opportunity to bid for outstanding works of art by some of South Africa’s leading artists, as well as special once-off experiences. 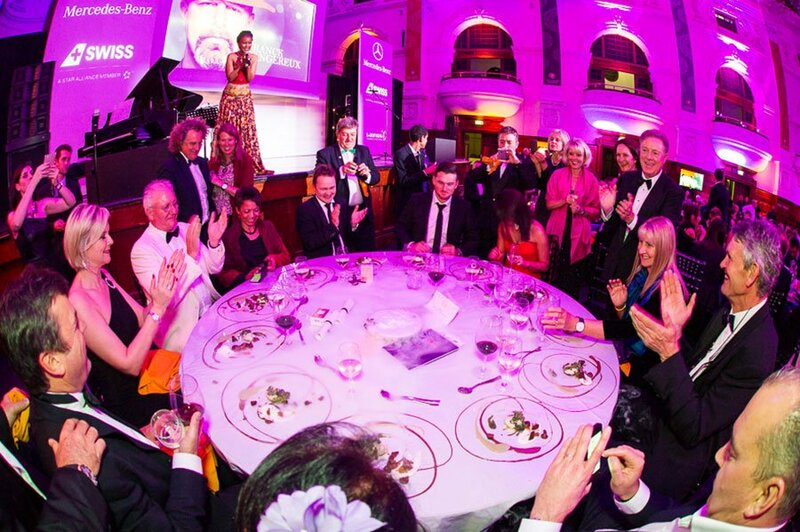 As in previous years, 100% of the money raised at ‘Chefs who share – the ART of giving’ via ticket sales, as well as all proceeds from the auction will go to two carefully chosen charities, MAD Leadership Foundation and the Laureus Sport for Good Foundation. In the last two years the event raised close to R4 million for this good cause. Chefs who share’s ongoing ‘Veggie Box Initiative’ meanwhile offers further support to the local community. The initiative provides nutritious food to children, educates about healthy meals and helps in developing sustainable vegetable gardens in underprivileged areas.